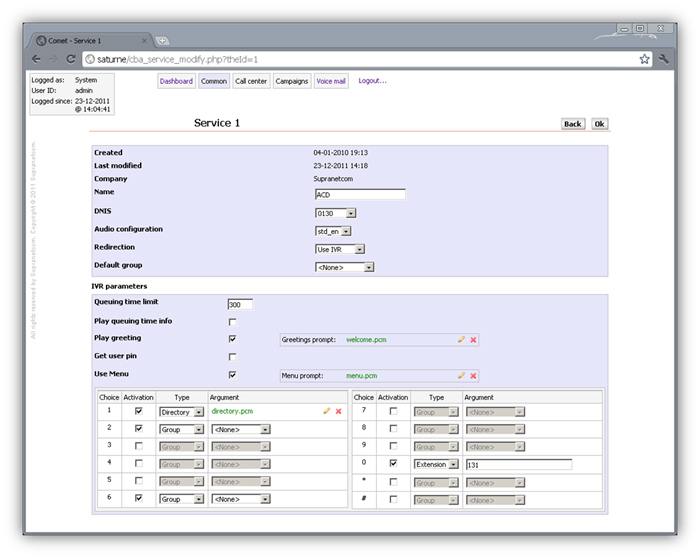 Comet allows you to deploy an interactive call-center solution with minimum setup effort. Where customer care matters, Comet is the right answer for quality of service. 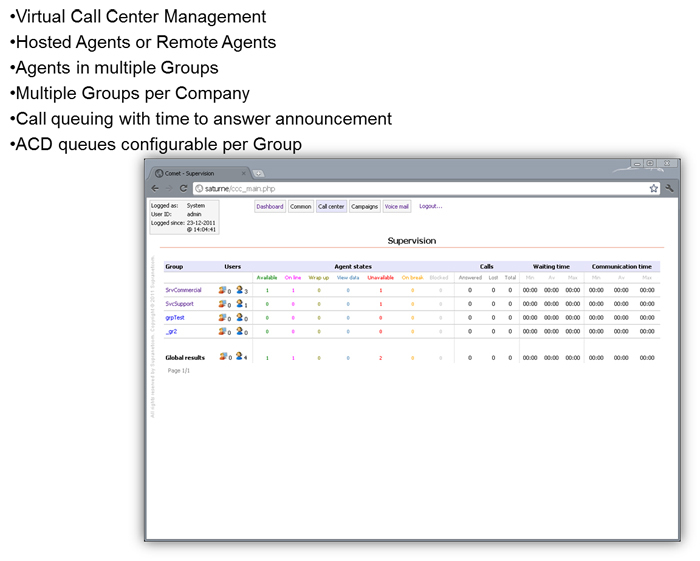 Comet provides a comprehensive set of features for handling inbound and/or outbound calls with configurable announcements, queuing mechanisms and agent group routing. Comet also allows for building sophisticated campaigns with segmentation of contacts, campaign scheduling and agent screen popup. Each campaign can use any of the integrated dialing engines: Progressive dialer, Preview dialer, Predictive dialer and Power dialer. Comet is fully operated and administered through an intuitive web interface allowing for easy management and control from anywhere. Comprehensive reporting as well as real-time supervision is also provided for precise monitoring of campaign activity as well as agent performance. 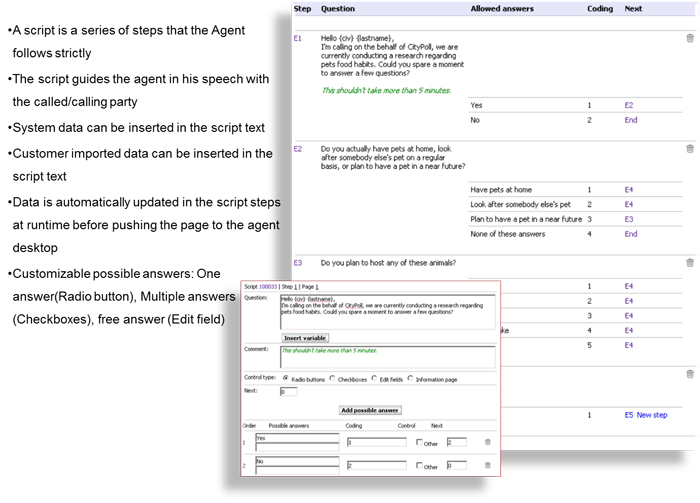 Comet integrates a web based scripting tool for building interactive dialogues. 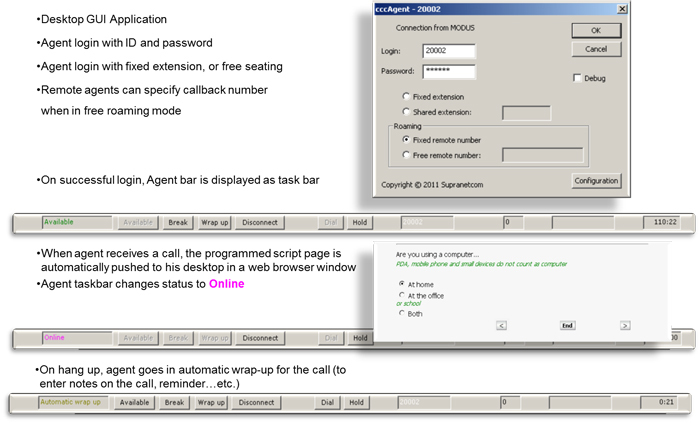 During a campaign, these dialogues can pushed in a popup screen to the agent in order to guide them step by step during the conversation with a contact. 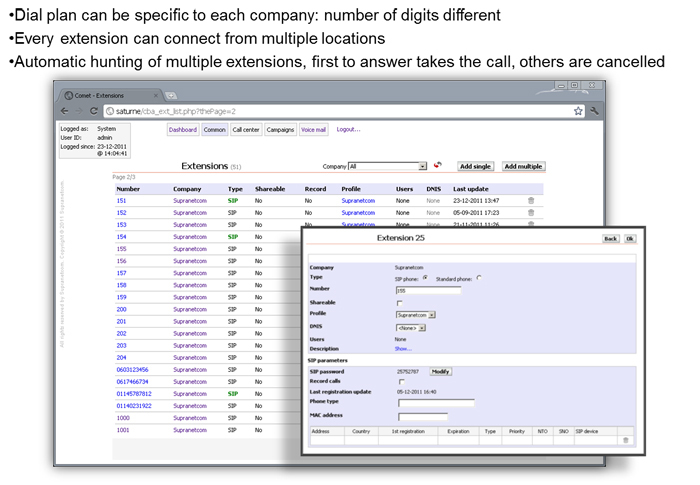 Comet is the right tool for deploying small to medium call-center solutions and includes built-in capabilities for integration in a CRM environment for access to specific company data and contacts. Comet, the right choice for your business!